FASHION DOLL BATH/LAUNDRY ROOM ACCESSORIES | American Plastic Toys Inc. The finishing touches to all dolls’ bath and laundry rooms! 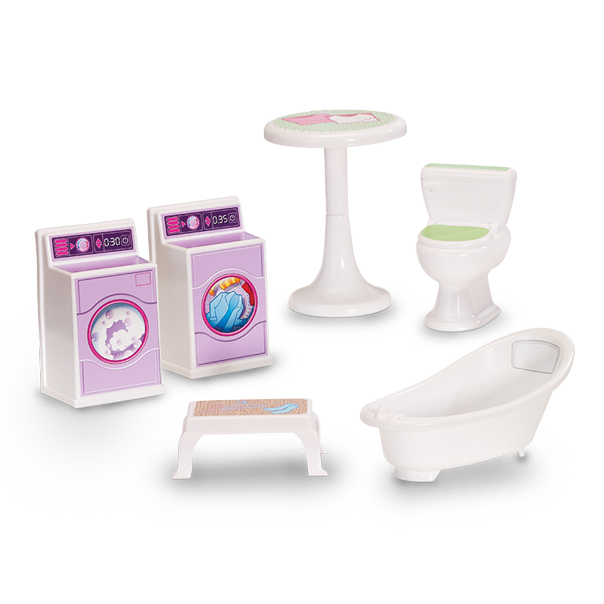 This accessory set includes a washer, dryer, folding table, high round table, toilet, and bath tub. The set also includes colorful labels that accent the furniture. Crafted from strong and durable plastic.